Toyota has more bad news for drivers. Just a few weeks ago, Toyota agreed to pay a record $1.2 billion criminal penalty to the federal government. The Japanese automaker, which has recalled over 9 million vehicles worldwide in recent years, recalled another 6.4 million vehicles on Wednesday for steering, airbag and other safety defects. This is the company’s second largest single recall announcement. Toyota states that it is not aware of any crashes or injuries involving these defects. In March, Toyota agreed to pay the $1.2 billion criminal penalty to federal government for misleading consumers and the government about unintended acceleration in its cars and trucks. The Justice Department had charged Toyota with wire fraud, but agreed to defer the criminal charge for three years while the company submits to government monitoring. This week’s recalls involve 27 Toyota models, including the RAV4 and Yaris. The largest recall involves 3.5 million vehicles which have defective spiral cables that can be damaged when the steering wheel is turned. Other defects involve a seat rail that can be pushed forward in a crash, as well as faulty steering column brackets, windshield wiper motors and engine starters. GM ignition defects draw Congressional inquiry. Last week, General Motors CEO Mary Barra was questioned by Congress about faulty ignition switches in GM vehicles, and about her company’s slow response to protecting the public after learning about at least 13 deaths linked to the defect. 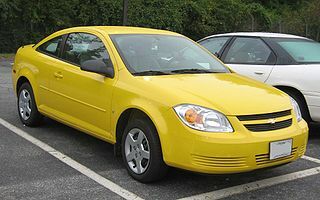 GM has recalled over 2.5 million vehicles which may be equipped with the faulty ignition switch. A week later, the National Highway Traffic Safety Administration (NHTSA) is waiting on more answers from General Motors. It reports the company has failed to respond to more than a third of its written questions. The company is being fined $7,000 each day for failing to fully respond, and the NHTSA is expected to hand the matter over to the Justice Department shortly. Spiders and hoses and gas, oh my! Mazda also issued a recall this week, one involving an unusual, but familiar safety problem. For the second time in three years, Mazda has recalled 42,000 Mazda6 sedans. This recall involved vehicles from 2010, 2011 and 2012. The problem is the yellow sac spider. The spiders are attracted to the smell of gasoline and can weave a web in the evaporative fuel hose, causing pressure to build up in the fuel tank. Too much pressure can cause fuel tank cracks, leaks and fires. In 2011, Mazda had recalled 65,000 Mazda6s from 2009 and 2010 for this defect. The car manufacturer attempted to remedy the defect by installing a spring inside the vehicle’s fuel line, but recently reported nine cases in which this was not adequate. The company is not aware of any fires due to the defect, but will now notify car owners. The remedy requires checking of the evaporative canister vent line and software reprogramming. The Boston product liability attorneys at Breakstone, White & Gluck of Boston have over 100 years combined experience representing clients and their families in wrongful death and serious injury cases. If you have been injured, it is important to learn your rights. For a free legal consultation, contact us at 800-379-1244 or 617-723-7676 or use our contact form.